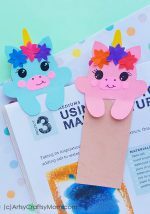 Everyone loves unicorns; especially when they’re as colorful as this DIY Unicorn Valentine Paper Puppet! Delight your friends with this magical creature! Just hearing the word ‘unicorn’ conjures up images of rainbows, Stardust and all kinds of magical stuff, doesn’t it? Many world cultures have mythical tales regarding unicorns, including works of art that depict a one-horned horse-like creature. Unicorns have been the stuff of legends, but in modern days, it’s often used to refer to people who shy away from the norm and tread their own path – and we love this description! 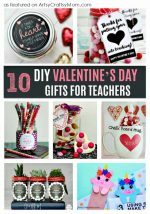 If you know someone like that, let them know that they’re special – with a DIY Unicorn Valentine Paper Puppet as a gift! 1. Fold a square piece of paper diagonally and cut a rounded corner at one end, as shown in the image. 2. Unfolding this will give you a heart shape. Now cut some more shapes out of white paper – a rectangle for the mane, a ‘long’ triangle for the horn and a petal shape for the ear. 3. Use your colored markers to color in the mane and the horn. Use any pattern or combination of colors. Go for pink markers to do the inner ear. 4. To give the mane a more realistic look, snip the colored part into thin strips, making sure you don’t cut all the way through the paper. 5. Time to fix the unicorn’s head! 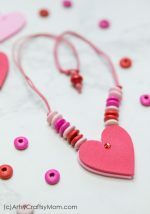 Take the heart shape from earlier and place it with the pointy part facing upward. 6. Fold the curved parts inward on the left side, as shown in the images below. 7. 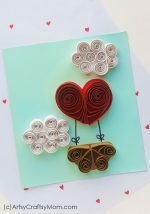 Now turn the heart over, so you have the folded portion on the right side now. This is the unicorn’s face. 8. Stick the mane on the straight left edge of the heart, making sure the glued part is underneath. Stick the horn on the top and the ear on the pointy edge of the heart. 9. Time to finish up your unicorn! Fix flowers or any other embellishments of your choice, draw some facial features and your pretty unicorn is ready! 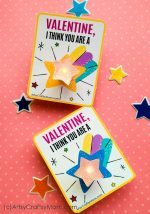 We’d suggest using slightly thicker paper to make the DIY Unicorn Valentine Paper Puppet so that it can withstand all the additional elements you stick upon it. 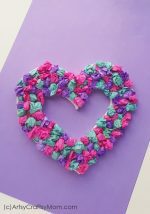 While we love the rainbow colors, you can experiment with an ombre scheme too. We can’t think of a better way of turning a heart into a multicolored unicorn, can you? So cute, I would never think to reuse a heart as a Unicorn head! Simple and adorable all at once.